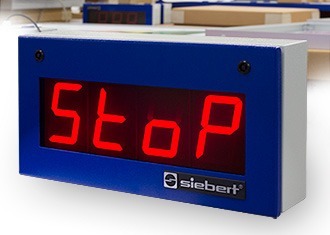 With technical perfection and innovative details the S302 series sets a standard for professional large size displays. The wide range of types covers devices with up to 8 digits, character heights from 57 to 250 mm and all common data interfaces. 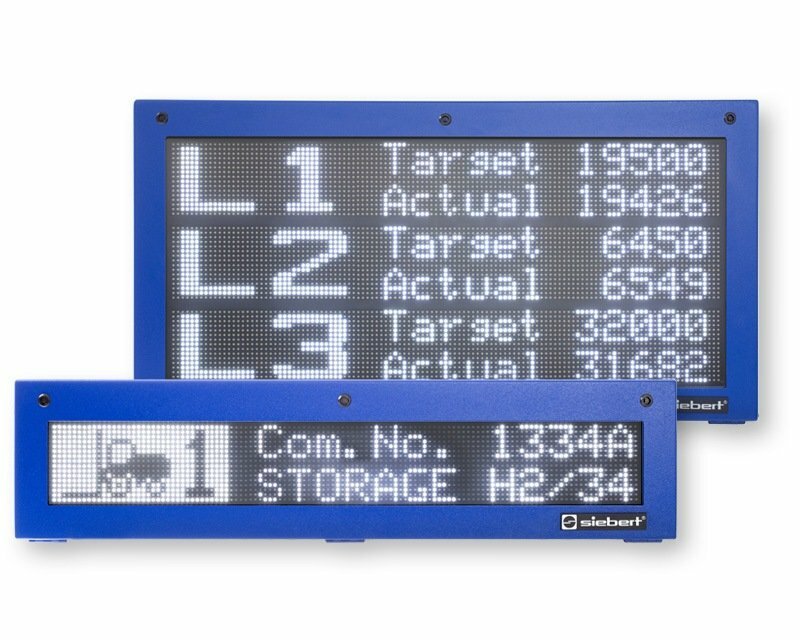 The large size displays support the interfaces for the industrial communication: fi eld buses, network topologies, serial or parallel interfaces and also the control with analogue signals and impulses (counter). After opening the housing a second display is visible. It shows the same values as the main display. There is no need for the main display to be visible during commissioning and parameterization – an operational convenience especially with large volume devices or at exposed installation sites. In the menu mode a menu appears in the second display. Operation modes, parameters and device functions are de ned in the menu. A fixed decimal point can be defined as well as if leading zeros are to be displayed or not to be displayed, or if a display test has to take place after power-on. 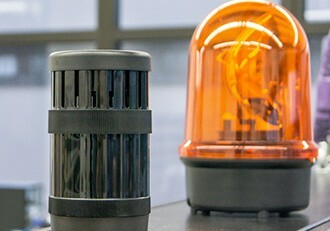 The devices have a voltage source to supply sensors or signalers (except devices with Profi bus interface). The power source can also be used as H signal for the function inputs. The devices are equipped with PLC-compatible function inputs. They allow the activation of device functions such as flashing, blanking and reduction of the LED brightness independent from the signals over the data interface (except devices with parallel or Profi bus interface). 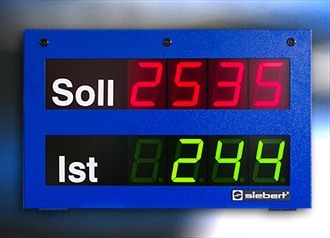 The large size displays are offered either with a one- or a double-sided display. 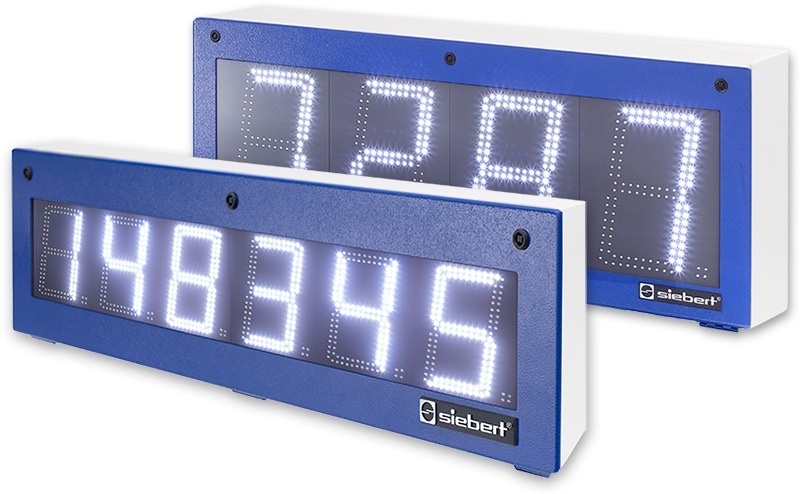 The versions with a double-sided display have a LED display and show the same information on both sides. The devices dispose of potential-free switching outputs. A command over the data interface generates a wiping impulse at the switching output. Devices with serial or Ethernet interface can automatically generate a wiping impulse on receipt of a data telegram. 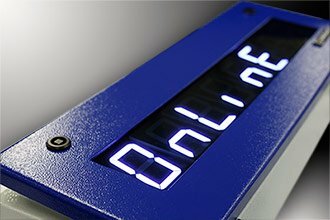 The wiping impulse is suitable for the controlling of optical or acoustical signalers to draw the attention to the change of information on the display (except devices with parallel or Profi bus interface). 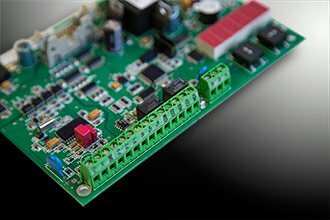 Devices with analog or counting pulse input have switching outputs for the upper and lower limit value. If the characters to be displayed in the data telegram do not begin at the first position it is set in the menu how many preceding characters are to be ignored. Thus the user data can be selectively evaluated (for devices with serial data interface). 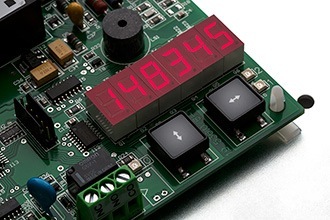 Among the digits the character set also contains the other letters and special characters which can be displayed with a 7-segment matrix (for devices with serial or fieldbus interface).